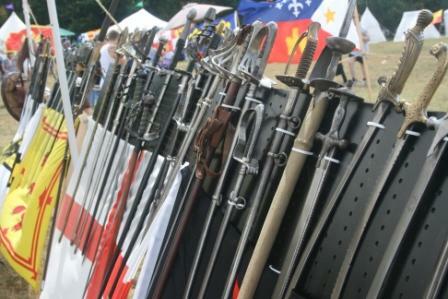 Saturday after completing my 18 mile training run we decided to head to the medieval fair. My legs were tired and I was kind of dehydrated, but the following day would be rainy so it was our only opportunity to get out. 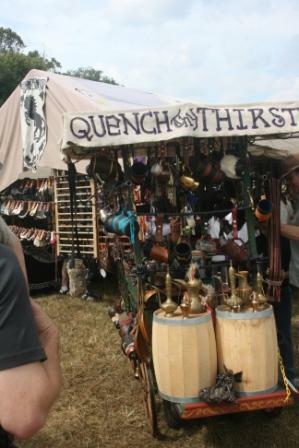 When Paul and I lived in Houston we used to go to the Renaissance Festival. It was AWESOME. This? This little medieval fair? Well, kind of a let down. But at least we got out of the house. There were lots of little tents with wares. You could buy all sorts of little trinkets (we only looked but didn't buy). After all, we just don't have much use for swords around the house. Even when the boys are having big tantrums over who gets to sit in the Fisher Price Learning Chair. We also watched some games. This guy was trying to hoist a big heavy bag over the pole with a pitchfork. 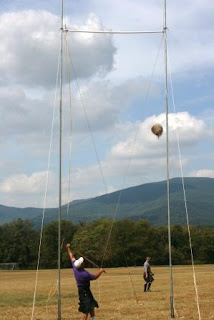 He missed by quite a bit! Course the kids playing games were the cutest. And Pierce posed in the stocks. Other than watching a magician for a few moments, that was pretty much it. Still, nice to get out for an afternoon. If my grandson had been there (age 13) he would of bought up lots of swords.. His Mom would never let him have one. John always used sticks.. when he came to my house . We would go to the state park and walk the trails,,he would always find a good stick to whack against the trees.. 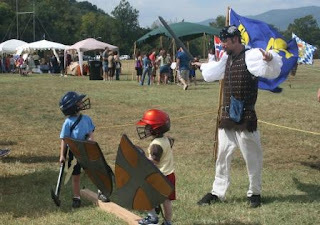 I have never been to one of these festivals but I'll bet it was fun.. We have a lot of civil war reinactments.. I love to read about the civil war but have never gone to one of these reinactments. Glad you took your kids out for a little adventure.. You will be surprised they will remember what they saw.. 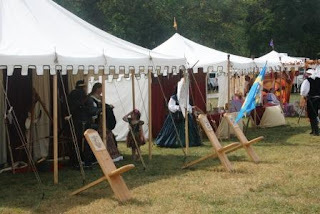 When I lived in Illinois we would go to the Medieval Fair It was fun to see the people dressed in costumes, the minstrels, and the trinkets and treasures. They had puppet shows, and tours of a castle - very neat! It was a big draw for the weekend crowds in fall.